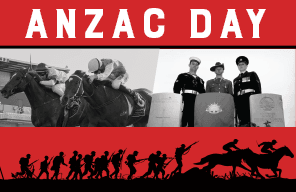 u Good Friday Raceday FREE ENTRY - Friday 19 April - Ascot Racecourse | Gates open 12pm. 9 Races: 12:30pm to 4:50pm. Brittany Taylor and Mark Worwood use Punting Form's data to assess how Dig Deep's emotional win in Saturday's Amelia Park-Karrakatta Plate rates in comparison with recent editions of the Group Two contest for juveniles. Also, Brittany and Mark analyse each of the other eight Ascot Racecourse events on Amelia Park Karrakatta Plate Day. There were no big-priced winners during Round 12 of the PR TipStar - 2019 Ascot Summer and Autumn tipping competition so there was not a great deal of movement on the overall leaderboard as Jordan Crerar won the weekly prize. Crerar tipped five of the nine PR TipStar - 2019 Ascot Summer and Autumn Round 12 winners and he had his big bet on Make Mine Champers, which paid 4.00 tote place with TABtouch after finishing second to Laufey in the Schweppes Tonic Handicap. The kids stole the show at Perth Racing’s Fashions on the Field at Ascot today, proving that pint-sized fashionistas can indeed upstage the adults. 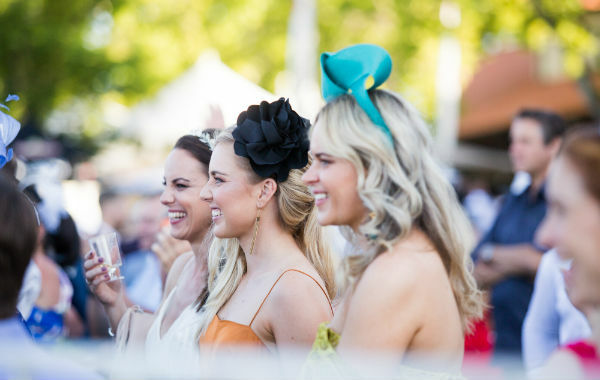 With a backdrop of thundering thoroughbreds and a trackside marquee location, this year’s 2019 Fashions on the Field was well frequented by both contestants and spectators alike. Judges had an extremely tough job with the seven family entries going to great efforts to coordinate and style their amazing race-wear ensembles. Our Vision is an expression of Perth Racing’s purpose, designed to inspire and motivate all employees on a successful future. Our people demonstrate our winning culture through positive relationships and practice our core values to inspire how we interact and deliver to our customers. 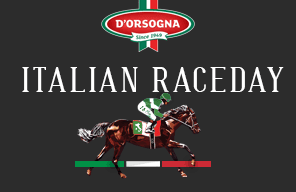 To be the leading Racing Club and Premier Events host in Western Australia. Integrity and Transparency – We will always think and act honestly and be open in our communication. Leadership & Empowerment – We will build collaborative teams with a focus on “we” and not “I”. Innovation & Excellence – We will encourage and embrace continuous improvement and strive for perfection. Safety & Sustainability – We will make safety the foundation of all that we do and protect our heritage and environment. Engagement & Understanding – We will deliver exceptional customer service, be passionate and committed. Thoroughbred horse racing is an exciting and dynamic industry to be involved in and if you are an individual who is passionate, eager and committed to achieving results then you are the sort of person we want at Perth Racing! Whether you are looking for full time or casual work Perth Racing may just have the opportunity for you. Our full time team is complemented by a large casual team who support at our race meetings and non race day functions. For further information regarding employment opportunities at Perth Racing, please contact the Human Resources Team or call (08) 9277 0777. Please see our current availabilities below and visit perthracing.bigredsky.com to apply. The Perth Racing Business Development Team works hard to promote non-race day events, conferences & seminars plus functions and exhibitions. Within this division sits business development and partnership professionals who work from allocated budgets to identify and source new funding and supply opportunities to generate revenue and commercial deliverables. Perth Racing has been the home of thorough bread racing for over 100 years in Western Australia and with two race days every week, 52 weeks of the year we need to ensure the premium services we have on offer are promoted to our members and general public alike. 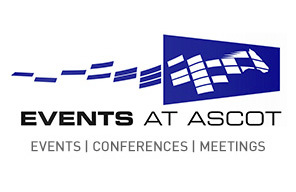 These include our corporate suites, restaurants and pavilions that cater from small to large gatherings in a variety of dining venues and styles This team works tirelessly to provide assistance with the booking and administration of all Perth Racing venues and provides event management support on special race days to ensure customers’ expectations are exceeded. The brand of Perth Racing is core to the success of the organisation and is managed by our Marketing Team consisting of traditional marketing professionals who are supported by graphic designers and e-commerce professionals. This department is focused on the development, implementation and management of marketing and media plans to support revenue, sales and profit targets for race days, non-race days, events and entertainment. If you want to help build the brand of Perth Racing and its venues then this area is for you. The Facilities team are pivotal in ensuring the maintenance, presentation and day to day running of the buildings and infrastructure are at their very best at both Ascot and Belmont racecourses. Roles within this division are varied and include trades and facilities attendants in both casual and permanent capacities that involve constant improvement to both Ascot and Belmont Racecourses. The large Tracks team is pivotal to the upkeep, maintenance and constant improvement to our tracks, and the surrounding grounds and gardens of both Ascot and Belmont racecourses. This division also offers positions involved in operating our tracks on race days and during track practice to ensure the safety and compliance of running a thoroughbred racecourse. Track positions within this team offer a variety of roles to those that enjoy being physical while working outdoors enjoying the pleasant surrounds of Ascot Racecourse and the Swan river. The Finance team are our number crunching, balance sheet balancing, cost projecting, banking experts. They keep Perth Racing’s books up to date and on track for a profitable and fruitful future. Within this team you will find a mixture of entry level to senior finance roles to suit all needs and covers all areas of finance from management accounting to payroll. Our Administrative teams are the heart of our business operations and support our teams to focus on what they do best. Anticipating the needs of managers and team members, our admins resolve operational and administrative issues before they arise. Moving quickly with the changing environment, our administrative professionals are up to date with the latest events and services, and can use that knowledge to strategically support your team’s projects and goals. Supporting and developing - two key words that best describe what Human Resources are here for. They support the employee life cycle across all divisions while ensuring the diverse range of staff we have are working in an organisation that is providing motivation, challenge, reward, development and business growth. Safety is Perth Racing’s number one priority. Staff, jockeys, trainers and horses alike work in challenging and at times harsh environments. Whilst we have an expectation that safety is everyone’s responsibility our OHS team provide the tools and expertise to make sure we have an incident and accident free work place every day. The Information Technology Department works across a series of areas including integrating computer systems, coordinating and providing training, negotiating and managing information technology related contracts, and technology assistance and support. The department creates the technological environment that enables employees to quickly access vital information using the most efficient and cost effective system hardware and software. Perth Racing’s biggest department offers a broad category of fields that includes positions within our functions, kitchen, restaurants, bars and retail outlets. The Food & Beverage department are always on the lookout for customer serviced focused individuals who enjoy delighting our guests and relish a busy yet exciting environment. Perth Racing Security provides premium security services for our Ascot and Belmont Racecourses as well as offering specialised external crowd control services for events of all sizes, with a team of security personnel fully committed to the provision of a specialised service. This department offers variety and excitement for those who hold the relevant qualifications in diverse, challenging and dynamic environments. The Production and Audio Visual department provide vision and audio services to internal departments as well as venue patrons and corporate clients. The team include a variety of skilled operators and technicians responsible for all on course audio and visual production on raceday, as well as technical support for equipment and setups. Our Racing and Wagering departments work closely with Racing & Wagering Western Australia (RWWA) to deliver multiplatform content of some of the most exciting racing in Australia to both patrons on and off course. Roles within these departments are customer focused to ensure racegoers receive excellent service to promote and facilitate on course betting. Perth Racing has a proud history of hosting thoroughbred racing in Western Australia for over 160 years.